I hope you all are very well and doing a lot good in your lives and i know you wish me the same 😉 . It was the time we all have been waiting for since last week. All speeches were prepared and were ready to be delivered. The place was cubbon park and witnesses were our two favorite dogs. The meeting started at 10:15 which is 15 minutes later than we planned. First speaker was Shiva who talked about his own life which was followed by Soma. After that it was chance for second speeches. Me along with Jounali, Pratima and Mohit were the people who gave their second speeches. 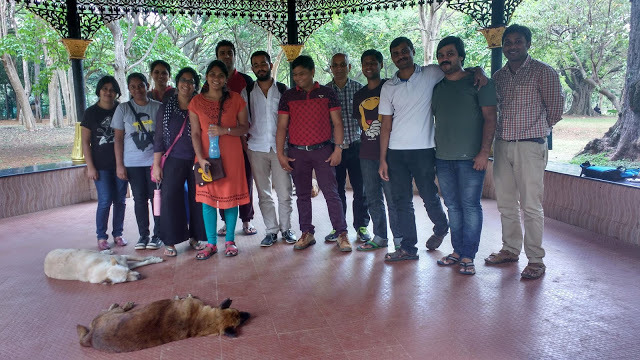 Pratima told us about six Sigma and why it is needed, Mohit talked about the evolution whereas Jounali shared her mind on very political parties. I talked about a book called “AApka Bunti”. To make a change in the monotonous music of the meeting we decided to replace the instrument. We started our second activity which was table topics. Seven people were given a chance to speak on topics chosen by Jounali. I got to say the topics chosen by table topics masters are not easy. Different was not the case this time. I did not get a chance to participate in this but by looking at people struggling to find words, i can say Jounali had topics which everybody thinks but speaking on them sometimes is not easy. We had, in this meeting, three of our experienced person who were a part of SHG for last 4 yeras. Having their thoughtful ideas in meeting took this meeting to a very different level. They talked about the importance of attending SHG and how to deliver good speeches. After this, we started Prepared speeches again. It was Mansi and Janani’s turn to speak. Mansi once again told us about an important issue in everybody’s life. She talked about Toxic parenting and how it affects children. Janani told us about being content in one’s life. She gave a very good example of her own life which was the key to speech. Then, we gave chance to our new members and one’s who could not give speeches. 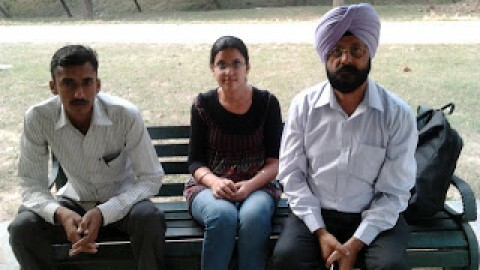 We had, among ourselves, a new member, Dinesh Soni who also happens to be writer. He recited a very nice poetry. It appeared to be about love but i thought it more a prayer for God. We planned for our next meeting after introduction round and then decided to disperse. It was again a very structures meeting with some minute distractions. Sometime meeting was losing it’s charm and getting down the track. It was noticed and I hope from next meeting, we will make it more and more interesting and structured.